Timing is everything. 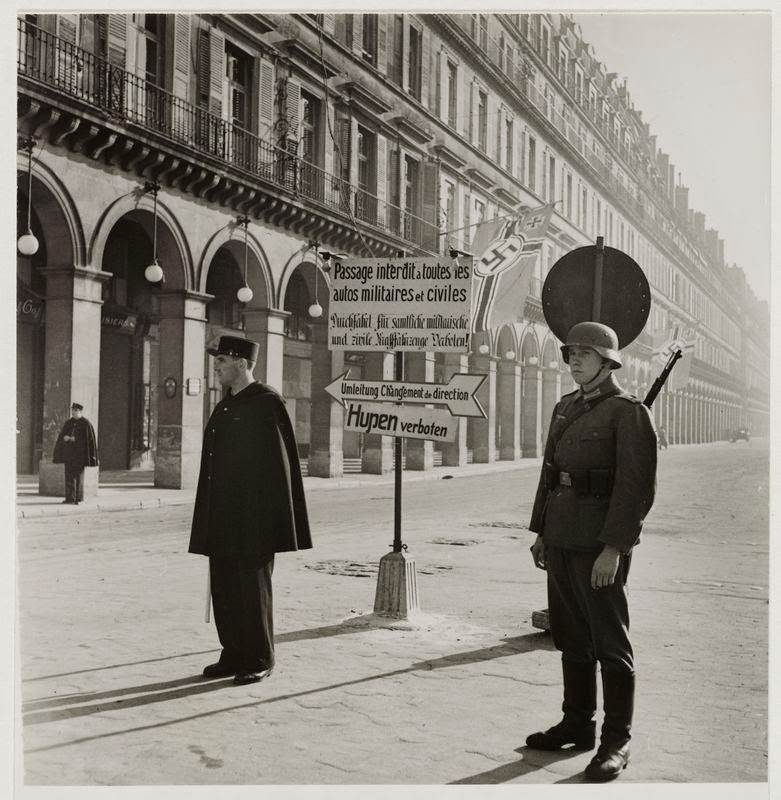 If I would have seen the exhibition Paris freed, Paris photographed, Paris exhibited shortly after it opened last June, I would have left with a vague impression of events that happened 70 years ago. The black and white photos showing a deserted Champs-Elysées and the bodies of dead hostages lying in the street would certainly have made an impact, but they would have borne little resemblance to the city I know. That was then. This is now. 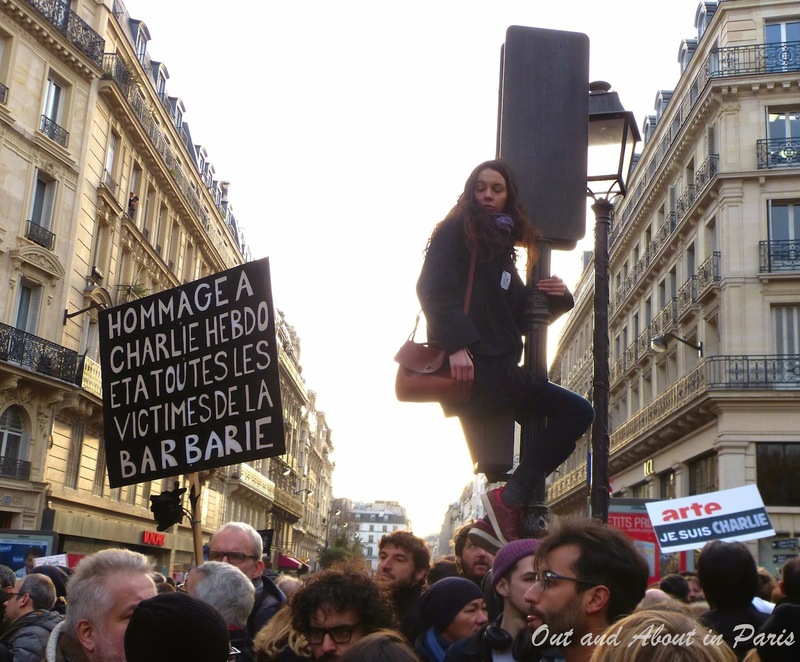 The Charlie Hebdo and kosher supermarket killings have altered my perceptions. When I received an email last Monday reminding me that I had registered for a special evening visit of the exhibition at the Carnavalet Museum, I incorrectly assumed that "Paris freed" in the subject line somehow referred to the deaths of the terrorists. Considering that the horrific events had overshadowed everything else in my life for the past week, my mistake wasn't surprising. The Carnavalet's email sparked an internal dilemma. 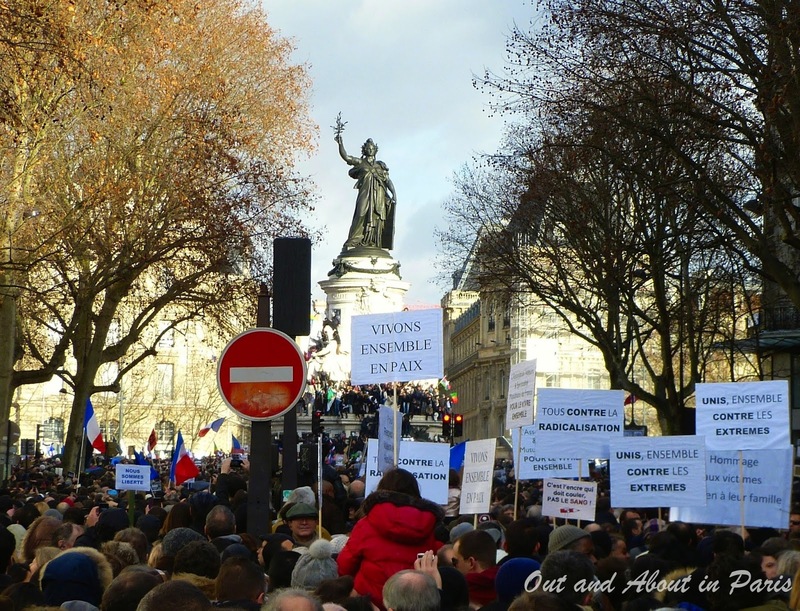 Even though Stéphane and I had joined the millions who turned out for the Unity March on Sunday, I suddenly felt worried about going to the museum on my own on Monday evening. After all, it's located in the Marais, the neighborhood known as "the Jewish heart of Paris". The police had closed the nearby rue des Rosiers during the kosher supermarket attack because they feared the street might be one of the terrorists' next targets. Unbidden questions rushed into my mind. "Is it safe to go there?" one side of my brain asked, while the other countered, "Do you want to let the terrorists' actions rule your life?" On my way to the museum, I found myself calculating the odds of another attack. The armed soldiers patrolling the streets did little to allay my fears. "Would they be able to stop a terrorist carrying a Kalashnikov rifle?" I wondered as I hurried past the synagogue on rue Pavée. It was only after I was safely cloistered within the ancient walls of the Carnavalet Museum that I felt my hunched shoulders start to relax. And then I saw it. A photo that spoke directly to my heart. 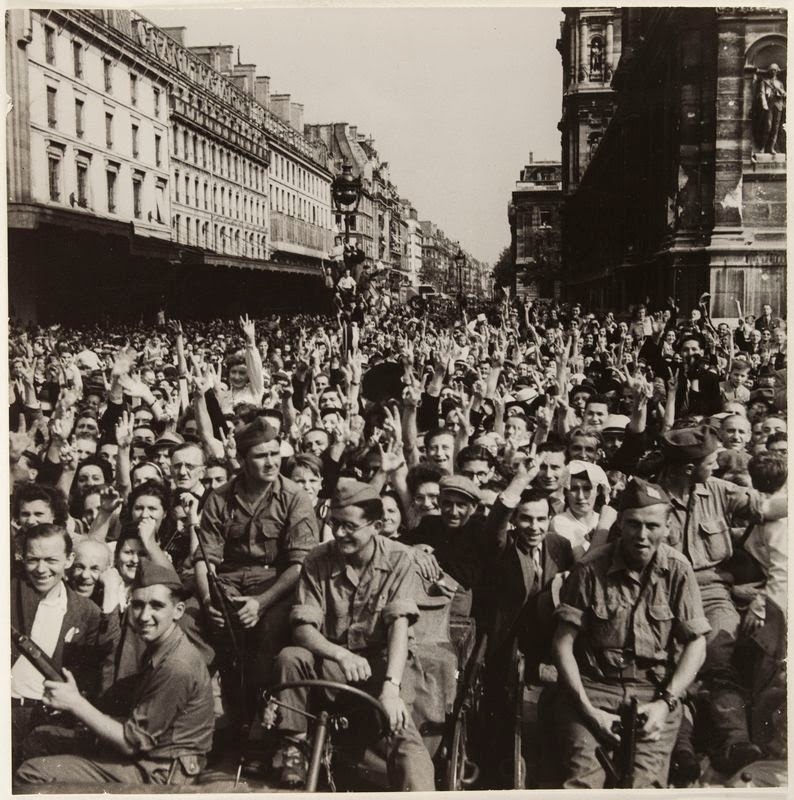 Paris freed, Paris photographed, Paris exhibited examines the narratives created by the German Occupation, barricades, arrival of the 2nd Armored Division, reprisals, parade of August 26, 1944 and the American presence. The photos are a reminder that personal memories are shaped by collective memories, just as individual narratives merge with collective history. Featured quotations of historians and philosophers challenge our sense of history and the way memory works. 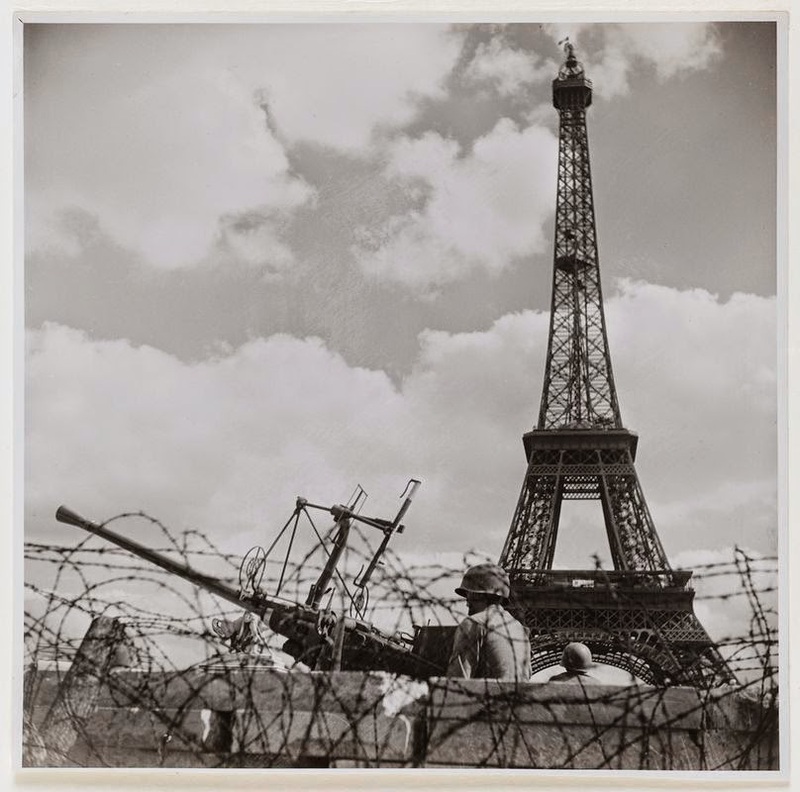 Be sure to see "Paris freed, Paris photographed, Paris exhibited." It's at the Carnavalet Museum through February 8, 2015. The timing of this exhibition is eerie. I can only imagine the unsettling feeling all of you living in Paris must be experiencing right now. I feel it and I'm thousands of miles away.